What do you do if you or a loved one has been arrested in Burbank for a weapon crime? You need the Burbank Weapon Crime Defense Lawyer who knows the system, focuses on early intervention, & explores possible alternative solutions. That Attorney is George Kita. Mr. Kita has helped many clients charged with possession of illegal weapons in the city of Burbank, as well as Burbank Airport. He develops creative approaches and makes efforts to steer clients into programs such as City Attorney Diversion, whenever possible. 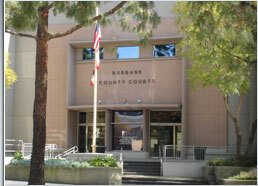 He is thoroughly familiar with the local system because of extensive experience with Burbank criminal cases. Don't wait until court to try to resolve your case. Call George Kita, now, and find out what he can do to resolve your case, at 818-536-3630! Weapon case outcomes are based on a wide range of factors, including the specific facts and law of each case. Weapon possession in Burbank can result in either misdemeanor or felony charges, depending on the circumstances. Weapon Defense Lawyer George Kita has represented many clients charged in Burbank with the illegal use or possession of a weapon, and works towards innovative resolutions. Mr. Kita handles a wide range of cases involving illegal weapons, including: firearms, knives, ammunition, throwing stars, brass knuckles. George Kita has substantial experience handling weapons cases as both a prosecutor and defense attorney. He can help you resolve your case using proactive approaches, and develop your best options. Weapon Crime Case in Burbank? Call today at 818-536-3630, and find out how he can help you!